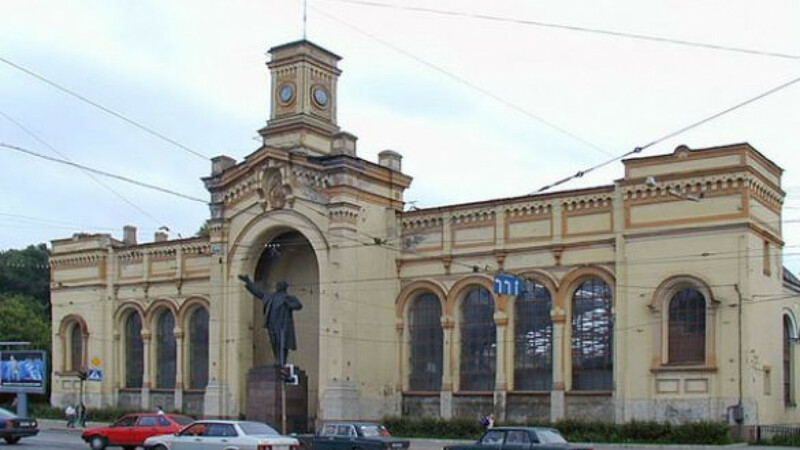 The Varshavsky Station in St. Petersburg. ST. PETERSBURG — The Investigative Committee in St. Petersburg said it had opened an investigation into alleged attacks on police who stormed a historic building that is part of the now-defunct Warsaw Railway Station. The 19th-century warehouse was occupied by activists who turned it into a cultural center in the hope of saving it from impending demolition. Two of the activists face up to 10 years in prison on charges of violent assault of a police officer. The OMON special forces stormed the building last week, arresting 22 activists. The activists, mostly anarchists and preservationists, called themselves the Spasi i Sokhrani (Save and Protect) Collective. They said they were beaten, some badly. Police said three officers were injured, two of whom were hospitalized. An activist who identified himself only as Alexander said the OMON forces, which were summoned after the regular police failed to get the activists out, broke into the building. "They did not let anybody out. They simply flew in and started beating everybody with truncheons and forced them to the ground," Alexander said. "Some of our guys shouted out loudly that they were being beaten. Several defenders sustained serious injuries," he said. "One had a concussion, one young woman who was defending the squatters from the outside repeatedly had her head bashed against an iron grid and ended up in the hospital later that day, and several more people called us from the police precinct saying they felt very unwell after being hit really hard." He said he did not witness any attacks on police officers. Alexander said about 45 activists gathered in or near the warehouse to defend the building after police attempted to seize it at the beginning of last week. A number of activists stood in a line, preventing the police from entering the warehouse. He said the police were called by the developer's security guards after the latter came in the morning and started breaking the warehouse's wall with sledgehammers before retreating after a conversation with the activists. The building's electricity was cut off earlier. "We spoke to the Admiralty District's deputy police chief, who insisted on entering the building to check it for drugs or whatever," Alexander said. "The preservationists who were with us tried to explain to him that the building has historic value, and he said he had received a report from the owners about the building being illegally seized, although he did not present any documents." The police spokesman said 20 activists who were detained had been charged with arbitrariness, or taking the law into their own hands, failure to obey a police officer's orders and disorderly conduct. He added that not all the activists were charged with all three crimes. The activists occupied a 19th-century warehouse in November, soon after another historic warehouse on the site was demolished by a developer. The activists said the developer plans to tear down the buildings to make way for elite apartment buildings. "They destroyed several warehouses. They either demolished them with machinery or set fire to them, and they were left burned and in ruins," Alexander said. "Only two or three of them are left, with the ruins of destroyed warehouses right next to them." The activists turned the building into a cultural center — complete with an art gallery and a bar — that had been open to the public since early January. Alexander said that a concert and a few disco nights had been held at the location and that more were planned. Several attempts by the developer's security guards to drive the activists out last month failed. Dating back to the 1850s, the Warsaw Railway Station was closed in 2001 to be reconstructed into a retail and entertainment complex. The historic warehouse buildings belonging to the station were stripped of their protected status in 2007. The preservationists said that decision was illegal, and they demanded that the buildings be put back under state protection.